The impact factors of being the best DVD software for Mac is various, like function, speed, output formats and quality, system compatibility etc. But it wouldn't be an understatement to say that function is above all, the ultimate reason of choosing the software for Mac or not. Generally, users' demands of Mac software for DVD is in aspects of Mac DVD ripper, copy/backup, descryption, burning software and player. A really powerful DVD software for Mac either balances in all aspects, or be professional in one area. Well, here are best 5 DVD programs for Mac to hit the spot. MacX DVD Ripper Pro not only behaves professional in a certain aspect, but also reaches area of expertise in all aspects above except burning DVDs as a Mac DVD burning software. Whereas it deserves to be one of the best DVD software for Mac because it is capable of ripping DVD in various formats like MP4, MKV, MOV, AVI etc., copying DVD to ISO image or DVD folder which makes the future DVD burning simpler, and automatically decrypting DVD as you import the DVD disc no matter the RCE region protection, CSS encryption, ARccOS copy protection, even the latest Disney X-project encryption, so that you can rip the any new movies on DVD freely. All in all, MacX DVD Ripper Pro is a three-in-one Mac DVD ripper, DVD copy software for Mac as well as Mac DVD decrypter. Step 1: Add files. 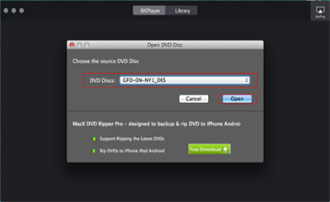 Free download the best DVD ripper for Mac and run it. Click "DVD Disc" or "DVD Path" button to import the DVD files. Step 2: Choose Output Formats. Select the output format as you desire, like rip DVD to MP4, DVD to FLV, DVD to MOV, DVD to iTunes, etc.or copy DVD to ISO image or DVD folder. Besides, this software for Mac also offers optimized profiles for iPhone 6/6 Plus, iPad Air 2/Mini 3, Galaxy S5, Google Nexus 8, Kindle Fire HD, etc, so that you can play any DVD movies on your gadget wherever you are. Step 3: Choose Output Folder. Click "Browse" button in output setting area and select a destination folder to save your converted or copied video. Step 4: Start Ripping/copying. Click "RUN" to start ripping DVD on your Mac computer such as iMac 5K, Macbook Air or Macbook Pro. With this best DVD ripper for Mac, you can also view the conversion progress and are able to cancel the converting process at anytime. 4Media DVD Copy for Mac as the name mentioned, is a worthy contender for a spot among the best DVD copy softwares for Mac. Different from other DVD converting software for Mac, you can backup or copy DVD to DVD with this DVD software for Mac, which safeguard your original DVDs from scratches and other damage from heavy use or transport. In addition, not only can it create a copy of a DVD, but it can also copy files from a DVD to your hard drive, where you can store them and burn them to a blank DVD at a later time. 4Media DVD Copy also boasts fast copy times and yields great results. 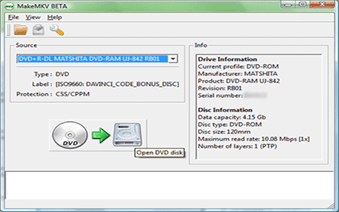 It works as an expert on copying protected DVD to DVD-5 or DVD-9. Apple iDVD for Mac is Apple's DVD authoring-and-burning tool, working with internal and many external DVD burners. As a Mac DVD burning software, iDVD lets you walk through all the usual DVD creation projects, but also has Magic iDVD built in, which can handle all the most common settings automatically. With very little fanfare, iDVD is the world’s easiest-to-use DVD burning software for Mac for creating DVDs. Specifically. iDVD allowed users to burn QuickTime movies, MP3 music and photos to a professional-looking DVD with super-cool menus that rival anything coming out of Hollywood, giving users the ultimate DVD creation studio right on their desk. Moreover, the latest edition of Apple iDVD for Mac now works with an array of third-party DVD burners. That is to say, you can rip DVD to iDVD and burn it later, only if you combine DVD ripping software for Mac with Apple iDVD for Mac. Besides, as Mac users' constant love for Apple products, iDVD is the most popular Mac DVD burning software for them. Definitely Mac DVD player is another of DVD player software for Mac which is essential for you to play DVDs on Mac computer effortlessly. 5KPlayer is what you are looking for, the best-ever region free DVD player software to play any DVD regardless of region codes 1-6, Disney DRM, Sony ARccOS, DVD CSS etc. without any trouble. Thus it can be treated as a Mac DVD decrypter for removing DVD protections, too. Better still, such a wonderful region free DVD player is totally free. Macx MediaTrans is a quick, easy and fast ripped DVD movie transfer software for Mac (macOS Sierra/El Capitan) and Windows (10). It has a strong ablity to transfer movies, TV shows, videos in HD/4K/SD, music, ringtone and more from computer to iPhone iPad based on iOS, and vice versa in a flash. Therefore, if you want to move the movies ripped from DVDs with any of the above DVD software, this tool will do it for you in an simple way. By drag and drop, those DVD converted movies and videos, no matter in what format, will be transferred to iPhone iPad supported files with superfast speed. Of course, other than function requirements, other factors of DVD tool for Mac is also of a great importance, such as speed, output quality and system compatibility etc. The top 5 software for DVD ripping/playing above is undeniable cover all advantages of these aspects. 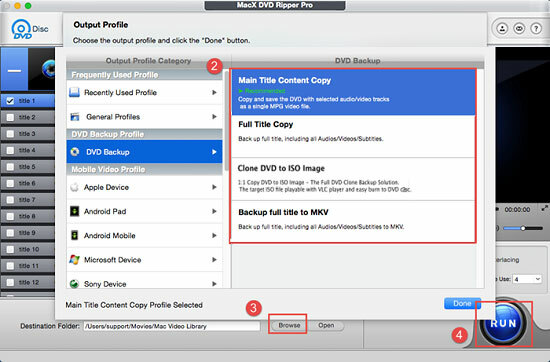 Take MacX DVD Ripper Pro as an example, according to a test that less than half an hour it cost to rip a full movie to MP4 formats without quality loss. Furthermore, the constant update of this DVD software for Mac makes it compatible to the latest Mac OS X including macOS High Sierra. Notice: When you handle DVDs with encryptions, note that DVD ripping and backup are not allowed in soome coutnries and the legality of which varies based on your country of residence. You are strongly suggested to consult the copyright laws in your country before you use of any of the above mac DVD software and do not encourage any illegal reproduction or distribution of copyrighted content. How to rip DVD to computer Mac Sierra and Windows 10? Easy ways to rip videos and music from homemade or protected DVD to computer or hard drive with Handbrake, VLC, professional programs are all here.